Tips for Keeping Your Home Cool During the Summer - Word Matters! The temperatures are on the rise and summer is on its way, with loads of sunshine, trips to the pool, and beach vacations. When you’re not going out and about with the kids, or with your friends, all you want to do is turn up your AC. However, there are much healthier ways to cool your house, without draining your pockets where the power bill is concerned. These tips will keep your house cool and comfortable and turn you into a DIY expert that will put your friends’ expertise to shame. Many people like to keep their blinds open during the summer, so they can add more light into a room. But did you know that keeping the blinds or curtains open can turn your house into a sauna? If you close your blinds and curtains, you block out the intense sunlight, which keeps your house at least 30% cooler. Have you ever considered buying blackout curtains? They also help to block out sunlight and insulate the rooms where you have them installed. According to an article in the Huffington Post, it is recommended by Consumer Reports that you use curtains in neutral colors, with a white plastic backing. These types of curtains cool your home by approximately 33%. 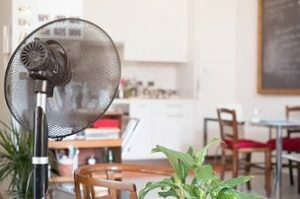 If you still love to use electric fans to keep your house cool, or use them when you’re outside on a hot summer day, here’s a trick that’s sure to keep each room inside your house and your front porch cool at the same time. Fill a bowl with ice or frozen cold packs, place the bowl in front of the fan, so that the air blows off of the ice. You have an instant natural air conditioner that you didn’t have to spend hundreds of dollars on. When the ice melts, simply replace the ice pack or refill the bowl with ice. You may walk into your house after a day of fun in the sun and find that the room you love to hang out in is quite cold. There’s one thing I want to point out from my own personal experience. If you work outside, you may want to try this trick, instead of cranking up the AC. I tell you this, because running your AC after a while, can make you feel even hotter when you go back out in the sun. I remember when I was growing up, my parents installed an attic fan to keep the house cool at night, instead of using an air conditioner in the house. Although I strongly suggest keeping your windows open at night, you may want to consider installing an attic fan, especially if you live in a one-story home, to pull the cool air from outside into your house. Although it is a bit noisy, it will save on your electric bill in the long run. If your house has more than one story, placing multiple fans in your windows will help to keep your house cool at night as well. While you use an attic fan, it is also helpful to use a floor fan so that you can allow the cool air to circulate in each individual room. Do you use electric heating in your home? If so, the furnace has its own fan, which circulates the heat in your house. Did you know that you can turn your furnace to the fan-only setting, and use the fan to circulate cool air throughout your house as well? It saves you money in the long run and you will naturally cool your home. Did you know that your appliances put out massive amounts of heat? The one appliance that puts out the most heat is your stove/oven. However, your washer, drier, and dishwasher (if you use one) put out heat when running. If you have to run your appliances, run them at night so you can save money on your electric bill, and keep your house cool. Make sure to constantly clean your drier vent, so that you can run a quicker cycle. Why use the stove, when you can grill out on sunny days? Whether you eat inside the house, or have picnics on your lawn, grilling meats. Pizza, fish, vegetables, and some desserts, that can be baked in the oven. This is also the perfect time to have a fish fry with your family and friends. Why not pull out the deep fryer or fish cooker, fill it to a certain point with olive or vegetable oil, heat it up and drop fish, fries, and hushpuppies into the fryer basket or straight into the grease? If you use a deep fryer with a basket, fill it with the food you intend to fry and lower it into the hot grease. Once your food is cooked to perfection, lift the basket up and place your fish, fries, or whatever you’re frying, onto a paper towel laden platter. You may have to fry these items one batch at a time, but they make tasty meals on a warm summer evening. I knew someone who dropped canned biscuits into a fish cooker one time. They tasted different, but just as awesome as anything that was cooked in that grease. There are so many things you can cook on a grill or over an open flame in a barbecue pit that make cooking inside during the hottest part of the day much less necessary. Use these simple tips and tricks to keep your house cool and lower your power bills during the “dog days” of summer. 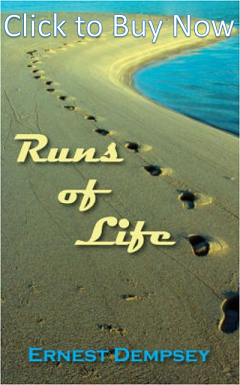 Ann Harrison-Barnes is the author of three books: A Journey of Faith: A Stepping Stones Mystery, Stories Outside the Box, and Maggie’s Gravy Train Adventure: An Electric Eclectic Book. 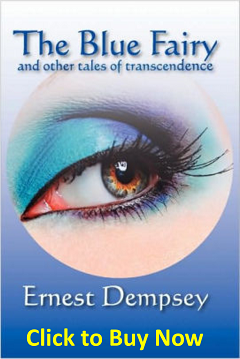 She has also been published in several anthologies. Aside from her work as a Christian fiction author, Ann is a professional writer and she also crochets bookmarks and book covers to promote her books. To learn more about Ann and her work, visit her website at www.annwritesinspiration.com.